Are you ready for tonight’s big finale? 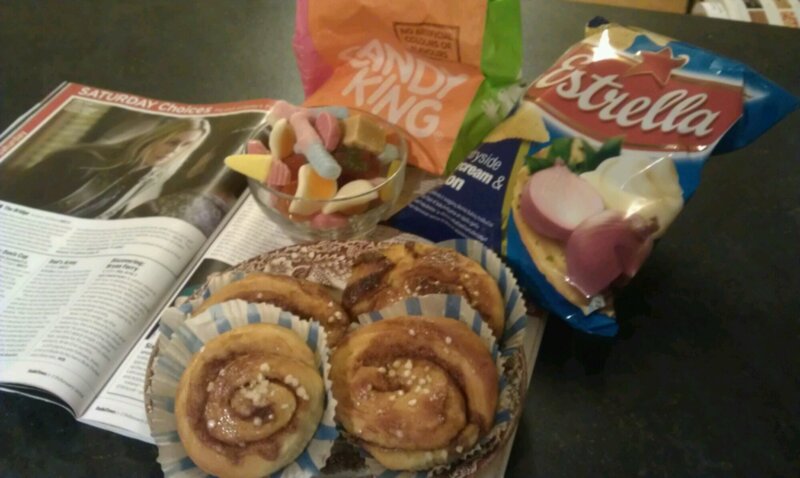 I have baked kanelbullar (fresh yeast and sugar pearls available from Sainsbury’s) and bought lördagsgodis (at wilko) and Estella crisps (from the international supermarket). I can’t wait! Do you have any favourite Scandinavian snacks? Where do you find them in Britain? After 11pm, feel free to leave your comments on The Bridge finale (no spoilers until after it has aired please, even if you have been at Nordicana today! ).